What do drag queens and children have in common? They love dressing up and all things sparkly and fancy. Drag Queen Story Hour (DQSH) is just what it sounds like. Fabulous drag queens reading storybooks to children in public libraries, schools, children’s museums, bookstores and community events. 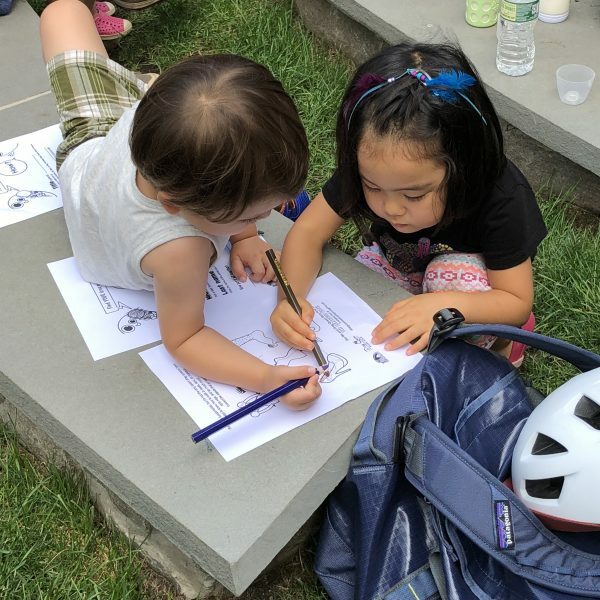 I’ve seen firsthand how these magical literary events capture the imagination and gender play of kids ages 3-8 and give them glamorous, positive and unabashedly queer role models. Children are able to see people who defy rigid ideas about gender and imagine a world where people can present as they wish. Drag Queen Story Hour is where dress-up is real! Created by writer Michelle Tea and RADAR Productions in San Francisco, the nonprofit Drag Queen Story Hour now has chapters all over the world. Events have been held in more than 100 cities. The first time I attended a DQSH in Brooklyn, Queen Witti Repartee kicked off the hour by getting close to 150 kids and families members on their feet to dance the Hokey Pokey. Then she read three picture books, including one of my favorites, Jacob’s New Dress. Afterwards, as the kids colored pages from The Dragtivity Book, a grandfather in a red shirt came over to tell Witti that he’d learned something from her. He might have been the only person there older than me, and I wondered what it was he’d learned. Maybe he realized that drag is just about creating a character to express another side of who you are. Or maybe it was how a loving parent can support a boy who wants to wear a dress. Sadly, some people aren’t open to learning something new. In fact there are those trying to prevent Drag Queen Story Hour from spreading its message of love and acceptance. For example, the Family Policy Alliance launched a campaign to urge legislators to stop DQSH events in libraries. Conservative groups and individuals have also staged protests outside of readings (including in Brooklyn and San Francisco), although these folks are always greatly outnumbered by LGBTQ families and allies. And in some towns, local politicians are even putting pressure on libraries to cancel scheduled DQSH events. But in true drag queen style, Drag Queen Story Hour is standing strong! And they need our help. Please join me in supporting freedom of expression by donating to the Drag Queen Story Hour GoFundMe drive. Every dollar counts in getting them closer to their $10,000 goal. These funds will allow them to strengthen as an organization. They’ll be able to host more events and develop resources for chapters around the country, especially in places where respect for LGBTQ people faces significant opposition. 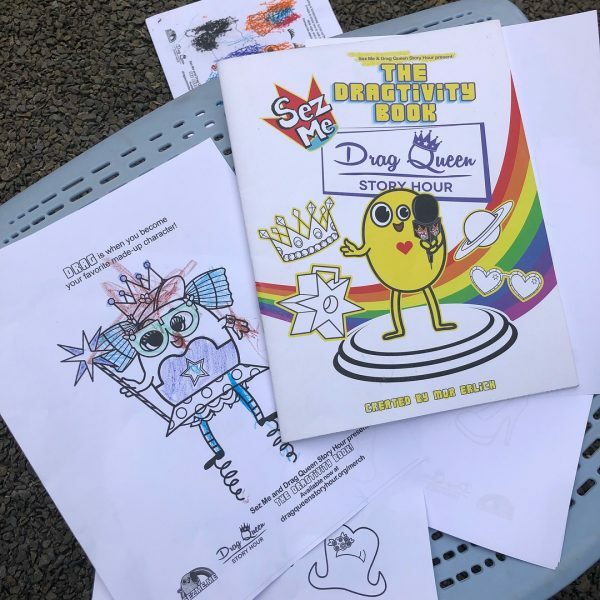 Even if sparkly earrings, false eyelashes and candy-colored wigs aren’t your thing, I hope you agree we can all get behind the Drag Queen Story Hour’s work to teach kids it’s okay to be different and to love themselves. P.S. By all means please share this post to spread the word about helping Drag Queen Story Hour meet its GoFundMe goal. You’re awesome! No one can stop the drag queen story hour! We resist with financial assistance and with strong minds. My Grandpa said in Yiddish: Der Dybbyk Spotsorin–The devil walks and it’s our job to stop him any way we can. Currently the queen of America is Betty White and her partner is Queen Elizabeth II in England. Both are in their 90s and doing well. Our besieged democracy may become a monarchy headed by one of our queens such as Winnie Bago or Dusty Karr or Misty Kiss and the list goes on. No one can, will, should or could stop anyone from becoming who they want to be. The only thing that doesn’t change is change!! Wake up right wingers and governments!! Change is here to stay.